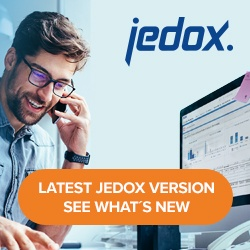 This load type allows writing tabular data in a TDE file to provide data from Jedox for the integration with Tableau Software, e.g. Tableau Desktop. For integration with the Tableau Server, it is possible to publish the TDE file during the load. To use this component, the corresponding Tableau SDK for C/C++/Java has to be installed on the system where Jedox is running, e.g. on Windows. PATH variable should point to the bin folder of the SDK; in addition, environment variables TAB_SDK_LOGDIR and TAB_SDK_TMPDIR can also be set to the desired paths. For this load a Tableau Connector License and a Connection to Tableau TDE file is required. You can optionally publish the TDE file directly to a Tableau Server. The name of the data source in Tableau will be identical to the the name of the file. A connection of type Tableau (required). A project in the site of the Tableau Server. If not set, the default project will be used.